Do you want a miracle or a mess is the title of a blog post I published just 35 days ago where I asked you to help us pray for our dilemma; Steve's medicine costing $852 for a four week month and $1065 for a five-weeker! Thank you for your prayers. We received a modern-day miracle. Everyone involved has been very sympathetic to Steve's need. Dr. Staton at Emory Clinic has been working hard with Encompass Pharmacy to get the brand Imuran approved. The generic Azathioprine doesn't work for Steve. The cheapest I found Imuran (with an internet coupon) was $213 per week for 30 pills. I bought one week at a time hoping for help soon. Roberta, the nurse at Emory called me every couple of days to give me status updates. Dr. Staton wrote an addendum to the patient file to finally satisfy the insurance company. Yesterday morning at 8 a.m., I received a call from Envision Drugs that Imuran was approved! Can you hear the Hallelujah Chorus playing in my head? I immediately called the pharmacy. They agreed it was approved with a copay of $450 per month. Good news interrupted with bad. The pharmacy tech quickly informed me they were filing an exception appeal to reduce the cost. I said "Well, I got Steve a grant and it may not be necessary." I gave them the information and guess what? The pharmacy tech said "I'll fedex the Imuran to your address by this Thursday with a copay of zero dollars!" Yes, that's right, FREE! The grant covered the copay. The grant should cover the copay for the rest of the year. The grant is $9000. 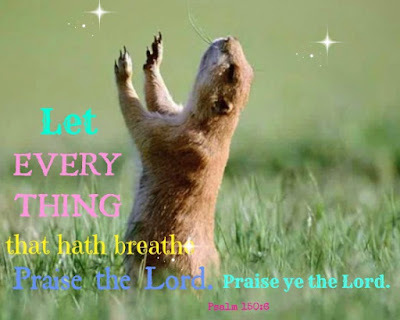 Psalm 150:6 Let every thing that hath breath praise the Lord. Praise ye the Lord! How did I do it? Perseverance, tenacity and our Heavenly Father! I called the manufacturer of the drug. The original maker is Glaxo Smith-Kline in Dublin, Ireland. I contacted them on their facebook page. They responded very quickly referring me to their North Carolina office to find out there was no financial assistance or coupons available for Imuran. I called Walgreen's to obtain the manufacturer of the exact pills in Steve's bottle. They were right here in Roswell, GA. Seleba Pharmacy was so rude, so unconcerned, the customer service agent so made me not want to buy their drugs at all .... but my husband needs them. I tried every Google search term I could think of, forward and backward; financial assistance for Imuran, Imuran coupons, discounts for Imuran, pulmonary fibrosis, etc. without any good results. If I did find a lead for his condition, pulmonary fibrosis, it was the wrong kind of fibrosis. Most assistance was for idiopathic pulmonary fibrosis and his is not idiopathic. Then, there were the financial hurdles to overcome personally or the programs were maxed out. After MANY hours and days of searching, I prayed and asked Jesus for some help. I don't remember what search phrase lead me to a site that I read and re-read, clicked, clicked and clicked some more until I divinely landed (not stumbled) upon a site that had funds available for pulmonary fibrosis. The application process was painless and you know if you are approved when you hit the submit button. HealthWell Foundation helps individuals afford the medicine they need! There are qualifications and stipulations but thank God, Steve fell into one of their paying categories! Steve received the grant five days before the medicine was approved. Perfect timing! I was so excited to go to Walgreens for his meds last week only to be disappointed. There is one caveat to using the grant money. The grant covers the copay only meaning insurance has to approve and pay first. The money was appropriated and sitting there but couldn't be used because insurance had not approved the medicine. If I can assist anyone with this process, please contact me. One of my favorite verses, Psalm 37:25 is so true. Trust Him and expect your miracle! I really just had a feeling that there was help out there for you! Yay....just always have to keep the faith!